Shri Ram Vilas Paswan, Minister of Consumer Affairs, Food and Public Distribution reviewed prices and availability of onions in a meeting here today. The meeting was attended by Secretary, Agriculture and Secretary, Consumer Affairs. Senior officials of NCT Delhi Government, NAFED, SFAC and Mother Dairy were also present. In view of the positive impact of market intervention by various Government agencies in the open market to ensure availability of onions in Delhi, it was decided that the NCT Delhi Government and Safal will continue to procure of onions from appropriate channels and supply through their outlets. 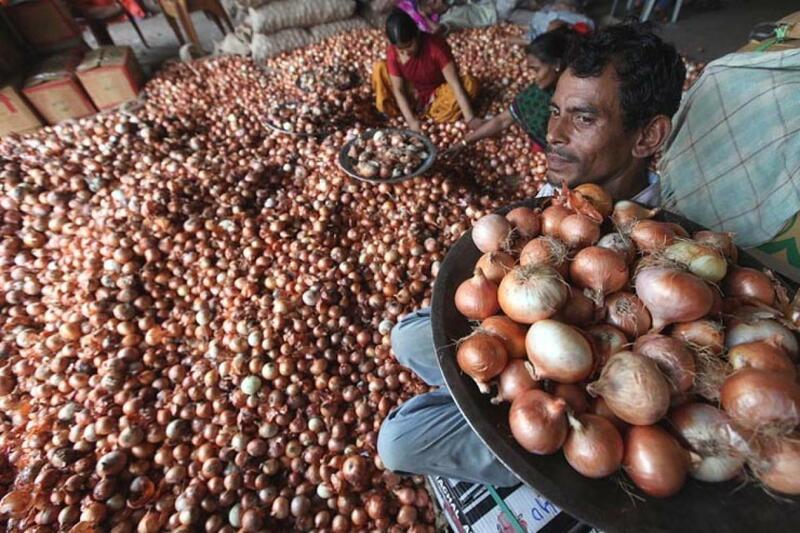 At present 100 MT of onions is being supplied daily by both the agencies together in Delhi. Any difference in the cost for these operations would be reimbursed by the Prices Stabilization Fund. It was also decided that in addition to earlier imports, further import of 1000 MT of onions will be made. Shri Paswan directed officials to continue a close watch on the prices of onions and to initiate required action promptly. Regular meetings are being held by Secretary, Consumer Affairs with all stakeholders including SFAC, NAFED, NHRDF, Mother Dairy, Government of Delhi and Ministry of Agriculture to take stock of the situation and evolve a policy strategy to keep prices of onions under check especially in Delhi.